New smart home security system called Elephant Door has launched over on the crowdfunding Kickstarter website this week looking through $40,000 to go into production. 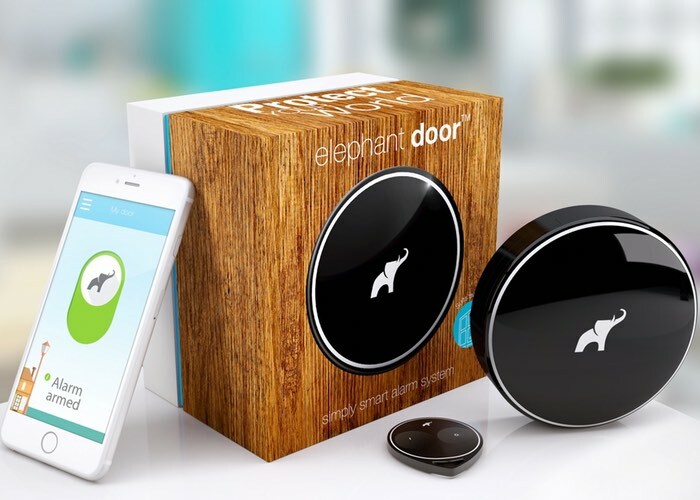 Elephant Door has been designed to provide a simple home security system that will notify you if your home is under threat and will notify you using the companion smartphone application. Watch the video below to learn how the Elephant Door device can be used to protect your home and notify you if there is any disturbance of tampering occurring at your front door. Smart. Secure. Simple: elephant door is the new smart home security alarm for homeowners designed to offer peace of mind that their property is protected against break-ins. Using unique anti-theft technology, elephant door can detect when someone’s attempting to break into your home before entry has been gained, and alerts you in the process. Integrated smartphone app notifies you of an intrusion so you can react quickly. Even if you’re not close to the apartment. From your application you can instantly inform the relevant services, family or your neighbor about the threat. Jump over to the Kickstarter website to make a pledge from $149 for the first 100 early backers.